MOTIVATED SELLER!!! 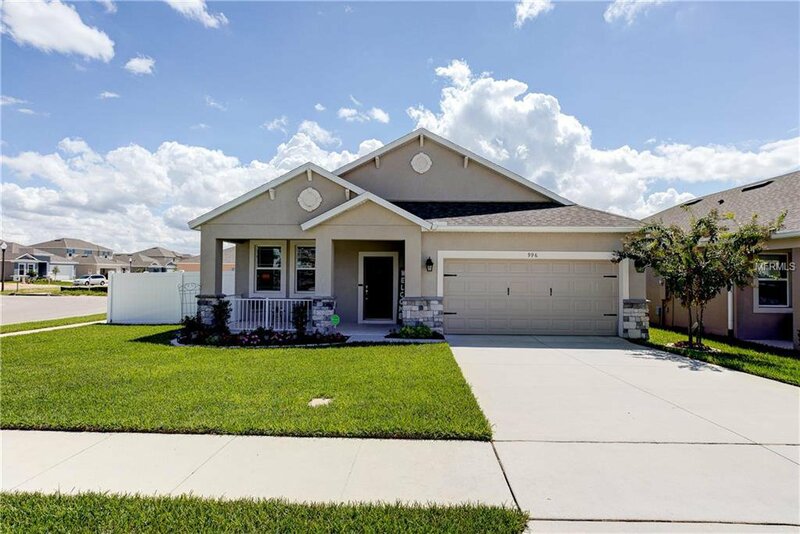 Located in the beautiful community of Hilltop Reserve, this 2016 home has style and comfort! This Bayshore floor plan includes 3 bedrooms, 2 bathrooms, tiled common areas with an eat-in kitchen and open dining and family rooms, along with an interior laundry room and 2-car garage. Upgrades added to this floor plan include an elected rough-in for garage utility sink and a 4-foot extension for the oversized master bedroom. With an inviting front porch, all you need is a rocking chair for social afternoons, and when in the mood for quiet relaxation, the fenced backyard has a well-maintained lawn and open patio for resting under the stars. Feel like enjoying the outdoors, this community offers an inviting pool, playground and athletic field for its residents. This address offers easy access to popular roadways such as SR 414 and SR 429, both which can help connect you to wherever you need to go. Schedule a tour today and come make some memories in your new home sweet home. Listing courtesy of REDFIN CORPORATION. Selling Office: CENTURY 21 CARIOTI.